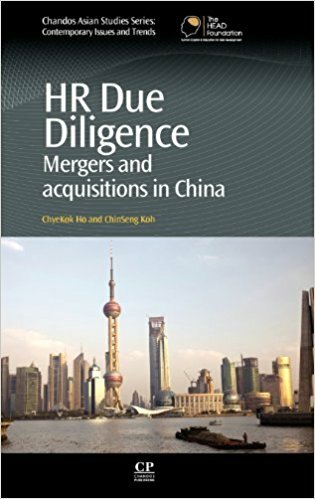 This book examines how to conduct due diligence on mergers and acquisitions for organizations in China written from a management perspective. It highlights models that appear straightforward and yet are susceptible to oversights and failings and examines the roles of human resource practitioners from when a target company is identified for mergers or acquisitions through to assessing its risks. “HR Due Diligence” incorporates adopting human resource management strategies under differing business conditions, negotiating to secure the deal and integrating the new business unit to the merged or acquired organization. The authors give a fantastically detailed analysis of due diligence, capturing the nuances of the Chinese way of doing things and how this affects a business environment.